Greetings to all in the OPEN community. While we are happy to bring you an update on our activities in the first half of 2015, we also note with exceeding sadness the passing away of Dr. A.P.J. Abdul Kalam, former President of India, and for ever the People's President. Dr. Kalam was known for his passion for teaching and for his belief that the young are the future of India, and passed away while giving a lecture to students at IIM Shillong. "The lives of great men remind us, we can make our lives sublime, and, departing, leave behind us footprints on the sands of time" - Wordsworth. A fund-raising event was held at Bangalore, India, in partnership with the Let's Do Some Good Foundation. The audience of 400 was given an update on OPEN activities. The eighth OPEN fundraising concert, Innisai Mazhai 2015, was held on May 16, 2015, at Ashburn, VA. An audience of about 700 was entertained by twin halves of music from A.R.Rahman and Ilaiyaraaja, presented by Vasanth Vaseegaran and his band, V-Sharp. We want to thank everyone who supported us with ticket and food purchases, and especially want to thank the children who contributed from their savings. At the concert, we presented a summary of OPEN activities from 2003-2014, and update that summary below. The OPEN community has supported over 20,500 students in the past 12 years. A breakdown of grants in the different categories is shown in the pie chart above. We wish to point out that for infrastructure projects such as classrooms, only the students benefited in the year of the grant are included in the total student count. The actual student count is likely much higher, as a typical classroom can be used for 5+ years, and typical furniture for 3+ years. The OPEN community supports over 100 students’ post-secondary education at this time. Students are predominantly in college for B.Com, 2-3 year Polytechnic, or 4-year Engineering degrees. We have shortlisted 54 new students for support this year, with about 60% of them being women. With the addition of returning students, we expect to support over 100 students for the coming academic year. On average, the family incomes of new students are about Rs. 6000, and the students entering Polytechnic average 75% in the 12th exam; students entering B.Com/B.Sc average 85%, and Engineering students average about 95% in the 12th standard board exam. Our estimated budget for the 2015-2016 academic year is $23,000. We are happy to present the success stories of graduates Chiranjeevi and Lakshmi in the following videos. We continue working with the Vidyarambam Trust to bring their Easy Learning English and Easy Learning Mathematics supplemental programs to 12 partner schools in Chennai. Over 2000 students were coached in English and Math during academic year 2014-2015, and the improvement in performance from the pre-test to the final test is shown below. The bulk of the children improved from C grade pre-program, to A grade post-program. Our estimated budget for the 2015-2016 academic year is $20,000. The Tamil Nadu Govt has mandated that any child that goes to a Govt school must be taught in English medium if the child so desires, and this unfunded mandate has led to a large switch in education from Tamil to English medium. Another challenge for schools is a large itinerant student population from the families of migrant workers, which means that Govt schools may get children who are far behind the normal education level - children that they are mandated to educate. These children need an immersion program in English and Math - an immersion that existing teachers are not trained to provide. This need for introductory/remedial education is fulfilled admirably by Vidyarambam and is recognized by the Education department in Chennai, which is asking Vidyarambam to start classes in additional schools. Vidyarambam had been focusing on rural centers, but with initial seed support from OPEN, has started Easy Learning English and Math classes in multiple Chennai schools, and is also the primary provider for immersion English/Math to the schools supported by the Ford CSR program in the Maraimalai Nagar suburb of Chennai. The Ashraya Foundation has completed library construction at three schools in rural Karnataka, and is running the Reading program for all students at these schools. Each book has a GROWBY rating that shows the reading level for that book. 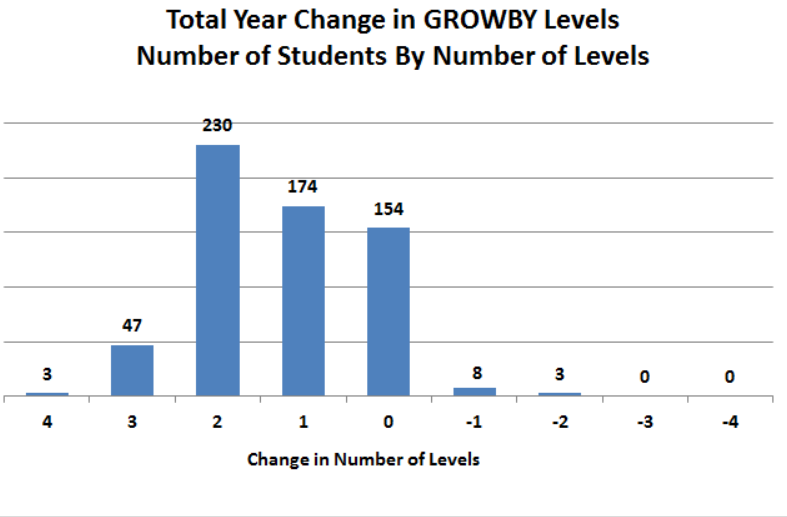 Ashraya monitors the number of books checked out by each student, and the GROWBY level reading proficiency that is demonstrated by the student as the academic year progresses, with 4 reading ability classification tests. High-level program dashboards are shared with Block Education Officers. On average, a student checks out a book every two weeks. The initial and final GROWBY results for the 3 schools supported by OPEN are shown below. 73% of the 619 children showed improvement by at least one level or more, and 46% showed improvement by two levels or more. We are also funding the Single Teacher program, run by the Swami Vivekananda Rural Development Society, for operating expenses for 5 schools (168 students) in Tiruvallur district in rural Tamil Nadu. A very heartening note is that the ratio of boys to girls in these schools is 51-49! These schools operate up to Class 5. One person teaches all children in the school, who study together. After completing Class 5, students are expected to continue education at regular schools, which may potentially be some distance away. Several students have done just that, and been successful. Notable among them is R.Gunasekaran, who secured 481/500 in the recent board exams and belongs to Valliammapettai village, Tiruvallur disctrict. One woman has completed B.Sc. Nursing, and two students are pursuing Engineering degrees. Ms. Swathi, who studied in a STS school in Kalyanakuppam village, Tiruvallur, completed a B.A.Literature degree and is now teaching at an STS school. This society also recently built 10 toilets in Tiruvallur as part of the Clean India initiative, and we are honored to support them. We continue our support of Ganapathy Iyer Girls’ Higher Secondary School, Gopalapuram, Chennai, with tuition scholarships for poor children, and operating expenses for after-school classes (chess, karate) and breakfast/evening snacks. All 33 of the girls in 10th standard passed the 2015 SSLC board exams, with 45% of the students securing above 80% marks; and 88% of the students securing above 60% marks. The topper scored 469/500. The Turning Point Trust aims to improve life skills for the children of slum dwellers in Rotary Nagar, Chennai. Spoken and written English and computer skills are taught daily from 4.30-8pm to children and youth to better prepare them for life and employment. We provide the operating expenses for these centers. We are sponsoring 10 children from the Malleswaram Shishu Vihar, Bangalore, with scholarships for school. We are funding Math and English classes for standards 6-8 in 3 schools in Bangalore, in collaboration with the Adarsh Colony CSR Foundation. We continue to fund teacher salaries at Somasundaram School in rural Tamil Nadu. We continue to fund the Samriddhi Foundation in Bangalore for supporting 10 children of migrant workers for bridge education and subsequent placement into government schools. We continue to monitor scholarship grants for poor children at Jaigopal Garodia Rashtrotthana Vidyalaya in Bangalore. Contributions may also be made online at http://www.openindia.org.